Understandably, this automation is a solution that will ultimately be hardware- and software-based, ranging from fixed cameras, smart shelves, push carts and drones to the most conceivable option now: robots. What kind of problems can it accurately, repeatedly and autonomously solve at scale? Can it identify out-of-stock products? Can it recognize what products are on the shelf? Are all data points localized on the store map? Can it generate a realogram (actual product position and facings at store level) that can be compared to a planogram (planned product position and facings in a schematic) for compliance? How will we best leverage this technology for improved shopper experiences, and make positive changes to our business overall? Some startups decided to tackle the problem head-on; some chose a gradual approach by solving less complicated problems and building a sound platform as a base to launch incremental capabilities. Companies like RFspot, Bossa Nova Robotics, Simbe and Zippedi, to name a few, have built their solutions with the hope of quickly capturing majority market share and setting the standard for the industry. Some started with RFID – a few with toys. Others began with with fixed cameras, while some are still shifting and pivoting to identify their long-term strategy and focus. One thing's for sure, though: The solution will have a technology component like a robot or fixed camera to collect the data, and an artificial intelligence (AI) element to process the data and provide real-time insights and analytics. Observing the latest announcements about funding and partnerships, we can see how these players and major investors could be involved in various discussions for collaboration. Plus, consolidation will happen, and ultimately the market will settle on two or three top players that can deliver data accurately, repeatedly and autonomously at the needed scale and cost. WHO'S PLAYING THE CHASING GAME? RFspot was possibly the first to pilot in a live retail setting, having a robotic solution for RFID and optical data collection before running out of funding. 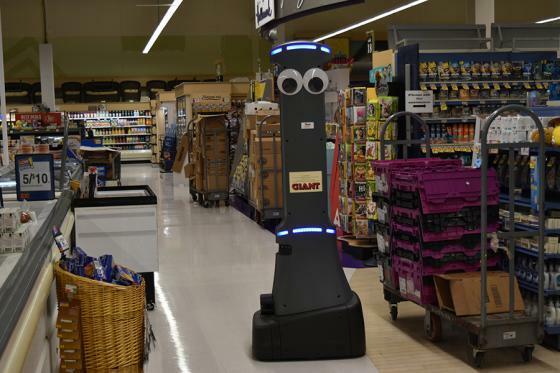 Others followed, trying to fill the gap by chasing this solution: Bossa Nova Robotics, seemingly in the lead with a 50-store Walmart implementation;Simbe rolling its solution out to 15 Schnucks stores; and Zippedi, which started a rollout in Chile and is now introducing its solution in North America. The essential questions are still there, though: How accurately, repeatedly and autonomously can their robot perform? And how fast can they scale? 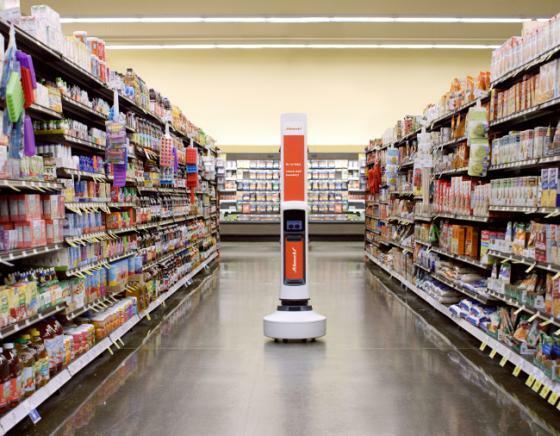 In 2018, we had yet to witness reliable scaling of robots at retail to a large enough sample – beyond the few grocery retailers mentioned above – for retailers and consumer packaged goods companies to really start reaping the benefits of the data collected. There are newcomers surfacing on a regular basis in stealth mode, claiming success with more cost-effective solutions that are slowly getting noticed. While it's impressive to have a robot move around a store, the major hurdle isn't how to navigate in a store, but the challenge of whether the robot can process accurately, repeatedly and autonomously the data it collects at scale – an important factor that many seem to prioritize too late in the development cycle. The company to crack the solution of processing the data to report accurately and repeatedly on the 4 Ps – place, product, price and promotion – will be destined to outlive the robots to whatever other mechanism replaces them in the future. Even further, solution providers that can envision how the applied technology could intersect and interface with existing devices, business tools, data sets, communications, vendors and supply chains will end up being the elite few that provide integrated solutions that will truly transform retail. This is a critical component in ensuring shopper satisfaction when brick and mortar intersects with ecommerce and click-and-collect. Providing visibility to shelf inventory will drive traffic. WHO KNEW JOHNNY-COME-LATELY WAS SUCH A MULTITASKER? Two companies might have just touched on a sustainable approach to incrementally bringing an automated data collection solution to bear. This should get everyone’s attention, and they deserve a mention. Brain Corp. announced an agreement with Walmart to roll out autonomous aisle-cleaning robots to 360 stores last month. This is a great dispersion: It shows scale capabilities and revenue models to build the costly stack of optical data collection. It's a genius approach to introduce autonomous ability to current floor-sweeper equipment in stores of a major retailer like Walmart. Another mastermind approach was introduced at the National Retail Federation's 2019 trade show by Badger Technologies, solving one safety need while building and enhancing the future ability to solve the larger data-collection problem: The company is rolling out spill-detection robots to 500 Giant/Martin’s and Stop & Shop stores. This is a dramatic improvement from the minimal scaling we saw in 2018. Badger’s platform can also serve as the base for a future optical shelf-data collection solution. Back to those essential questions: Can the robot accurately, repeatedly and autonomously, at scale, function in retail stores by processing collected data, and solve real business problems? One thing is for sure: More and more automation innovation will continue to arrive. Retailers should stay engaged and partner with these companies to help optimize their operations to further their quest of meeting the shopper’s needs. There's more to discuss on the challenges of processing collected data. As we look to the future and what’s next, who's working on that solution? Certainly, technologies will continue to evolve in retail. That being the case, it's worth our time to monitor the level of efficiencies and the impact on improving shopper satisfaction. Georges Mirza has been leading industry-changing solutions in the retail/CPG market ahead of developing trends. He led the charge and established the roadmap for robotic data collection and image recognition for retail to address out-of-stocks, inventory levels and compliance.